When I was young, I went on summer holidays with my family. I can still remember flashes of these, stopping at French wine houses to buy wine, on which European citizens still needed to pay duty when crossing the borders, Spending countless hours playing on the beach in the water with my brother or finally getting my own tent when camping. Those memories last a lifetime! Having small children myself now, I want to spend sufficient time with them, so that I’m able to build similar lasting memories. However, that is not always easy, busy life, not a lot of long vacations and a new baby on its way. So what better opportunity to spend time with the kids while staying in an awesome place. Airbnb is not only good to find your vacation rental for a longer stay, there are plenty of great listings in which you can just stay for a night, or two. So for my daughters 6th birthday, I arranged the ultimate birthday party adventure. 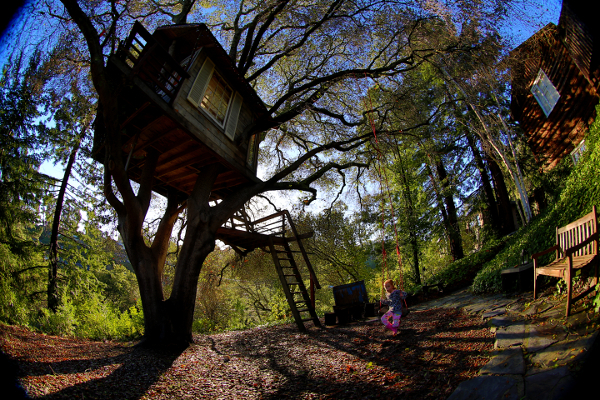 What better adventure is there than staying in this Treehouse close to San Francisco…! 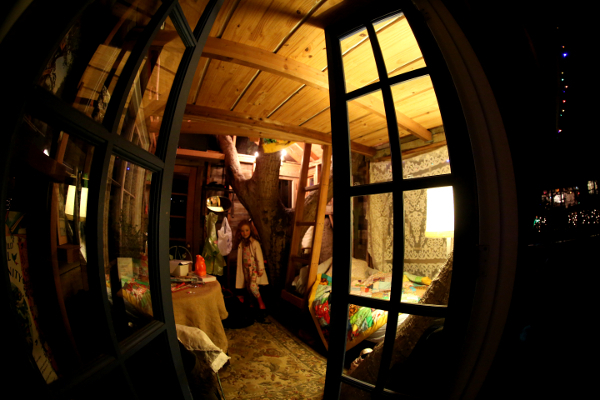 It was magical and resulted in a family plan to pick a treehouse to stay at every year. 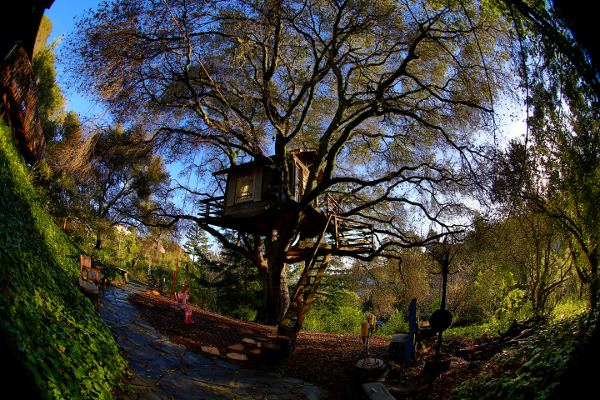 Now my son of 4 can’t stop talking about how much he would like to stay in a treehouse for a night together with Daddy! So to keep this tradition going, Jools and I made the plan to go visit a different treehouse every year, and try to sleep a night in the Treehouse. Luckily for Dad, there are a great number of Treehouses around the world , with a good selection of tree houses available here in California! For my daughters 6th Birthday, we rented Doug & Linda’s treehouse. It was an unbelievable experience, and probably will stick with her for the rest of her life as a fond memory of her childhood. Although it was raining really hard upon arrival, the treehouse is built solid and can stand the wind and rain. The host, Doug, was very friendly, and had the treehouse ready for checkin an hour earlier than normal. 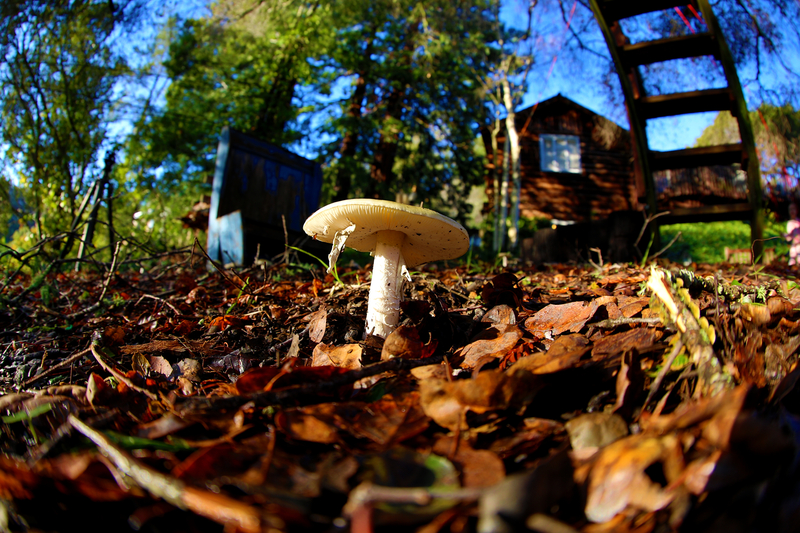 We had cake and hot chocolate while lounging in the treehouse with the rain falling on the roof, making that cozy noise. Pajama Party For The Win! Waking up, the sky had cleared, and we experienced a beautiful sunrise above the Bay of San Francisco. 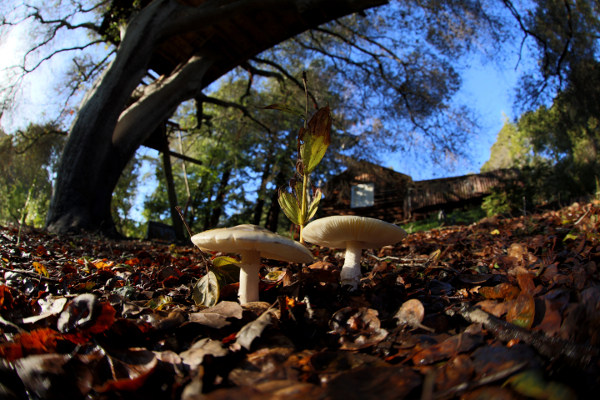 We enjoyed the breakfast supplied by our hosts, and spend more time in the garden on the swing, finding mushrooms and enjoying the nature. 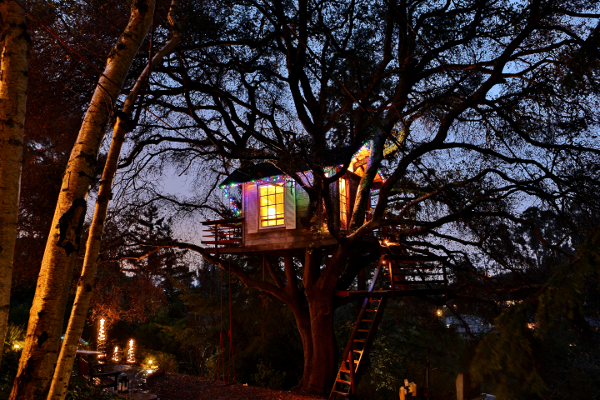 The Treehouse is an absolute recommended experience for anybody who ever wanted to sleep a night in a Treehouse, or just as an adventurous overnight stay while on a trip through California. It’s just a great vacation rental for anybody on a holiday in the Bay Area! Everything’s cooler through a wide angle lens. Nice work Dennis. @ToddMintz but they do have heating.. which was a great plus for us staying there! I want to do this with my kids. @JeffreyPreston Just do it man. They will like it so much, and you score dad points while at it! True story – I saw this listed on AirBnB the first time I looked at the site, and thought it looked awesome… Now you’ve only gone and absolutely confirmed it for me! I’m definitely taking my boy this year, he will love it! 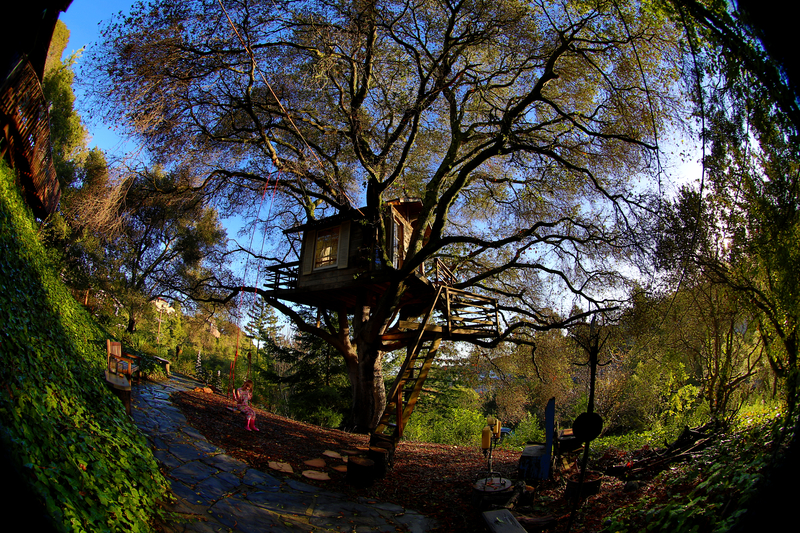 @MartinMacDonald I hope you can take your little man to this treehouse at @airbnb he will love it! Spectacular pictures! Your daughter will remember that forever. @NateLyman That is exactly my plan! Lasting memories are so powerful! Wow – that is such an awesome idea. I love it!!! @jentatertots Thank you so much Jennifer. I bet you can go do this as well, or even build your own treehouse, as you are so handy!